There's a common problem with Sega CD, Sega Saturn, and original long box PlayStation games: The cases are extremely fragile. Today I received some new cases in the mail to replace some of my more damaged ones, and I want to share with you my experience with them. 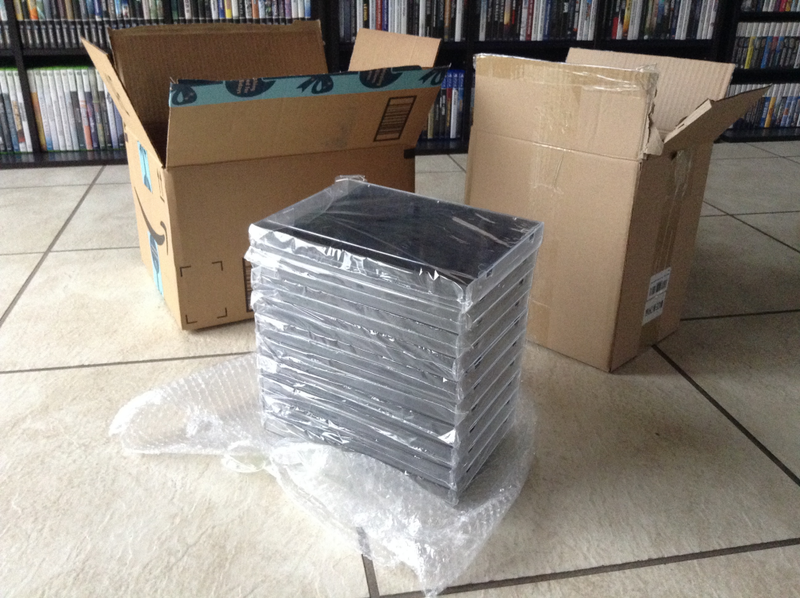 I purchased the Sega CD/Sega Saturn Replacement Cases 10 Pack yesterday on Amazon, and they arrived today. They came from a vendor named VGC Online, and they were apparently one of two businesses who were the first to release this product. I had read about them earlier in this article on Kotaku, and some of the things I read in that article scared me away from this product. I am happy to say, however, that I experienced none of the problems outlined in that feature because I bought the second run of cases which addressed the issues. The cases came individually wrapped in plastic, and then those cases were wrapped up in bubble wrap to ensure their safe arrival. That bundle was placed inside a box, then that box was placed inside the Amazon shipping box along with some more packing insert. None of the cases I ordered arrived cracked or defective in any way. There were a lot of layers protecting these notoriously fragile cases, which is a good thing. I can't say if they're any more durable than the original cases, but I would have to assume they are because they're not as old and brittle. We'll see in the future if any of them start cracking. So here's an old case and a new case side by side. I probably should have removed the manual and disc so you could see inside it, but it's too late now. Well, now you know I own Popful Mail. Anyway, you can see the dimensions are exactly the same, so if you only need to replace a few of your cases instead of all of them, there won't be any cosmetic differences on your shelf. I only bought a 10 pack and I own 46 Sega CD games, so I'm a long way off from replacing all of them. It would drive me crazy if they looked different in any way at all. Internally, you can see that the dark gray plastic insert the disc clips into looks the same. However, there is a slight difference in it that you might not notice unless you have them side by side. In the new cases, towards the top right and lower left of the disc (if a disc can even have a top right and lower left) the compact disc logo is absent. This is something I can see irking purists, but it shouldn't really affect anything unless your old plastic insert is damaged beyond repair or missing altogether. 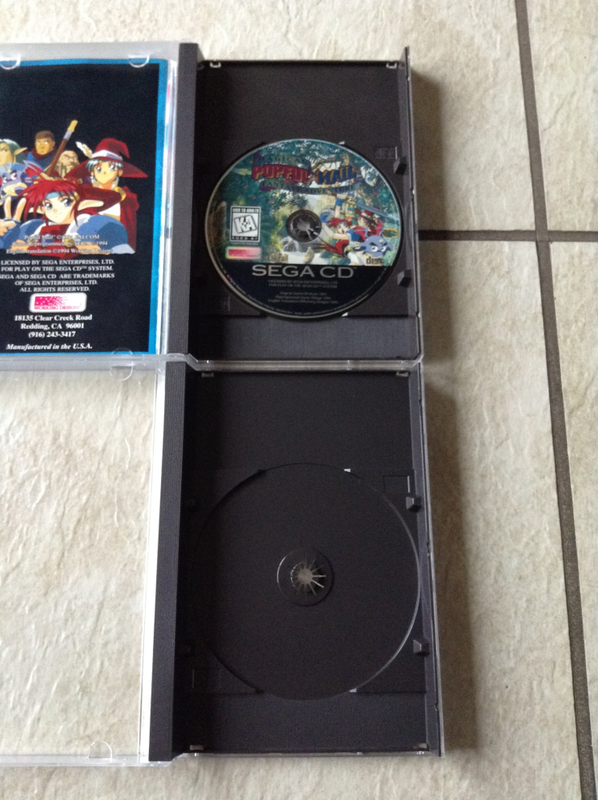 You can always swap out the new insert with the old one, which is exactly what I did with all the cases I bought. If you do choose to use the new inserts, know that there are no other differences cosmetically to the old ones. They're the exact same color, and they clip the games in really nice and tight. 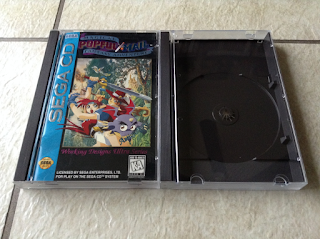 A lot of old Sega CD cases have been used to the point that the games no longer clip in snugly. You won't find that to be the case here. Finally, here are three games I had where the cases were completely cracked that I replaced. 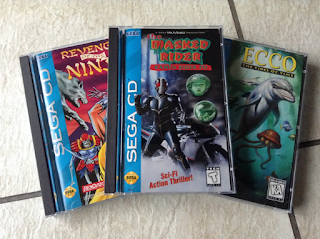 I think they look pretty good, and I would definitely like to replace all my Sega CD games with these cases because they look so nice. There's only so much cleaning you can do to a Sega CD game without completely changing out the case, and I'm a big proponent for cleaning your games internally and externally. They just look so clean and new in these cases. I just thought I'd tell you really quick about these and suggest that anyone with Sega CD, Sega Saturn, or original long box PlayStation games give these a shot. They're definitely worth the money and they will make your games look pristine and new again. You might feel $60 is a bit steep for 10 cases, but after reading why they're $60 in that linked Kotaku article, I completely understand. This is a service we needed, and I'm very glad someone stepped in to provide it.